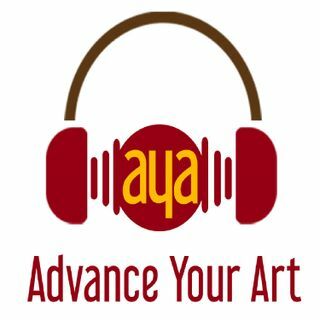 AYA 009 Jessica Serran – artist, guide and psycho-cartographer who helps artists step into their brilliance and own it! "I remember being in art school and thinking to myself, “I must not be an artist. This is way too painful.” I worried that if anyone knew what was behind my paintings — how I really felt, they’d disown me; the secrets of how dark and confused my inner world was would be revealed. Worse yet, I feared ... See More that if I spoke my own truth, others would be forced to acknowledge theirs. For years I vacillated between making art and having a fair amount of success, to falling fallow – thinking that I should quit and do something else altogether. Maybe I’d be happier if I wasn’t making art? Except that I wasn’t."